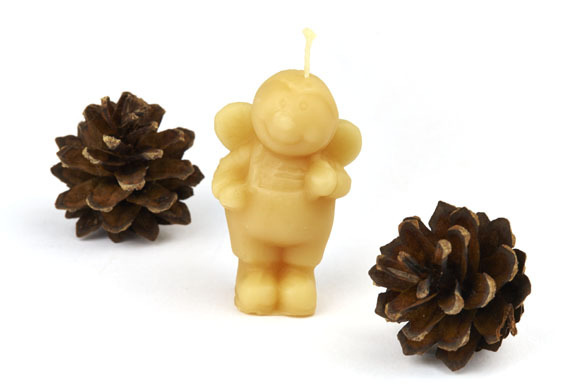 Hand poured small beeswax candles in shape of bee. 6.5cm high approx 25 grams of pure beeswax. Each will burn for about 2.25 hrs each. 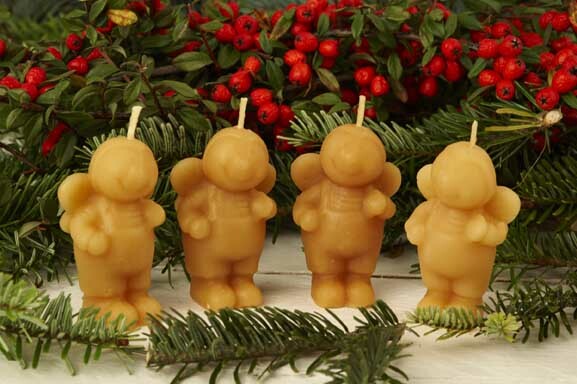 Made from beeswax produced by the bees in my hives. Surplus to their requirements. Add to honey order.